The Cloves are very common spices that are generally used for cooking and used in many remedies worldwide. The clove spices that actually we called is a “flower buds” of a plant scientifically named Sygizium aromaticum. The word clove came from the word “clavus” which means nails. This particular name came to trend because of the appearance similar to nails. The buds of clove are picked when they are pink and are dried until they become brown. 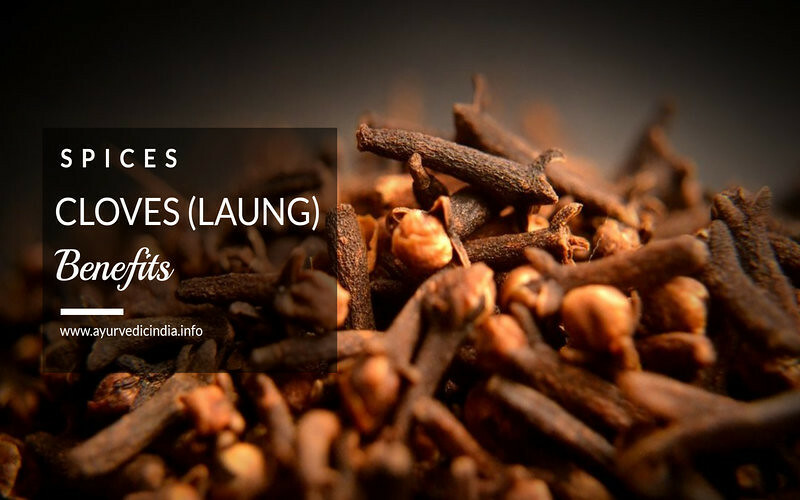 Cloves are native to the Moluccas, which was also known as the Spice Islands of Indonesia. It has been consumed in Asia for more than 2,000 years ago. The Clove that is consuming all over the world today have a long history, during the 13th and 14th centuries it was transported all the way from Indonesia to China, India, Persia, Africa, and Europe. In its early stages of development, flower buds are pale that gradually turn green, and finally, cloves become bright red buds by harvest time. It is generally harvested when it reaches a size of about 1.5-2 cm. structurally each bud consists of a long calyx. It has four spreading sepals and four petals closed. These petals are closed in a small dome shape at the top. The sweet smell of cloves is due to eugenol (composition varies from 70-90%) properties in them. Aside from the benefits of spices, cloves are also well known for their health benefits and have traditionally been used as an ingredient in the preparation of remedies for many diseases. Cloves have been used and found helpful against a range of human pathogens due to its antibacterial properties. Extracts of the cloves were powerful enough to kill pathogens. The Clove extracts are also very effective against specific bacteria that spread cholera. The Spices such as cloves and nutmeg are said to have aphrodisiac properties that are mentioned according to Unani medicine and Ayurveda. Experiments with extracts of cloves and nutmeg were tested against the standard drug, it has been found that both clove and nutmeg showed positive results. The Cloves are known better for its condiments and carminative properties. When added to foods it increases carminative properties and reduces the risk of flatulence caused by certain dietary ingredients. Cloves are also good for reducing, dyspepsia, flatulence, gastric irritability and nausea. The must be roasted and powdered when taken with honey it aids to relieve digestive disorders. There are various herbs that are mentioned in Ayurveda effective for the development and protection of the immune system. One such plant is clove this dried flower bud contains the compounds that help boost the immune system. It increases the production of white blood cells improving the delayed type hypersensitivity. The Cloves are of great importance to the medical community because of its preventive properties or anti-cancer chemotherapy. Various tests have shown that the cloves are useful in controlling lung cancer in its early stages. The hydroalcoholic extracts of clove include phenolic compounds such as eugenol and its derivatives, such as flavones, flavonoids, and isoflavones. These extracts have been particularly useful in preserving bone density and bone mineral content and increased tensile strength of the bones in cases of osteoporosis. Cloves have been used as traditional remedies for various ailments and one of such is diabetes. In diabetes patients, the amount of insulin produced by the body is not enough or does not occur at all. The studies have shown that extracts of cloves mimic insulin in certain ways and helps to control sugar levels in the blood. Cloves are rich in antioxidants properties which are best for the protection of organs from free radicals, especially the liver. The metabolism, in the long run, increases production and lipid profile of free radicals decreasing of antioxidants in the liver. Clove extracts are useful to counter these effects with its hepatoprotective properties. According to research conducted on clove in 2006, shows that cloves are extremely useful in balancing blood glucose levels in diabetic patients. It has been found that the clove that mimics the activity of insulin once ingested. It is also noted that the clove significantly reduced the concentration of cholesterol in the blood. According to the circular of American Health Association, 10 grams of clove powder is effective in the treatment of hypercholesterolemia’s it increases the synthesis of triglycerides in the body, thereby decreasing the concentrations of cholesterol in the blood. The clove has anti-inflammatory properties. For this reason, it is used in the treatment of joint pain or for patients with arthritis. Massaging clove oil on painful joints may reduce inflammation and swelling it is an effective home remedy. Clove is well also known for managing issues of acidity due to its carminative properties. It is used in the promotion of gastric emptying process due to peristaltic action. The research indicates that consumption of cloves increases the strength of contraction in the esophagus and intestines so that the food drives in the forward direction thereby preventing the risk of (GERD) gastroesophageal reflux disease. Besides cooking one of the widest uses of cloves is for dental problems such as pain gums, swelling, toothache, and bad breath. Clove has analgesic and local anesthetic properties which eliminates the growth of bacteria in the mouth. Because of the anti-bacterial effects cloves also used in eliminating bad breath. In the condition of breastfeeding or nursing with lactogin. In the condition of having a history of medical problems, such as allergies or hypersensitivity to the cloves. In the condition of acute, chronic bleeding or you are suffering from any coagulation disorder or the use of anticoagulants. People having problems with kidney, liver or seizures should not consume clove oil. Children and pregnant women should not use clove oil. Like all other herbs and spices, it is necessary that cloves are consumed in moderation. A large dose of undiluted clove oil can cause toxic effects such as nausea, sore throat, vomiting, sedation, shortness of breath, fluid in the lungs and seizures.